Today is the first day of summer, and hot weather has already arrived. In Texas, cooling and heating accounts for as much as 40 percent of annual home energy expenses. Take Care of Texas offers the following easy ways to keep your home cooler, helping you to save money and keep our air clean. Use a programmable thermostat. Or adjust your thermostat during overnight hours or when no one is home. Try setting it to 78 degrees or warmer in the summer. Setting it to 7-10 degrees higher than you normally would for 8 hours a day can reduce is energy consumption as much as 10 percent. For your convenience, we've created an infographic with the tips listed above. Download the infographic as a JPG or PDF to share by e-mail or on social media. 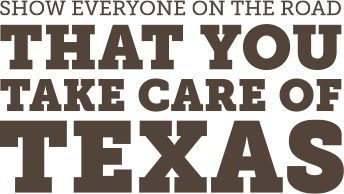 Ask your friends and followers to do their part this summer to Take Care of Texas.